﻿﻿In 1967 Sifu Elmond Leung began his Wing Tsun Kung Fu journey in Hong Kong. At that time, the late Great Grandmaster Yip Man had opened a new program to attract younger students to his school on Nathan Road. 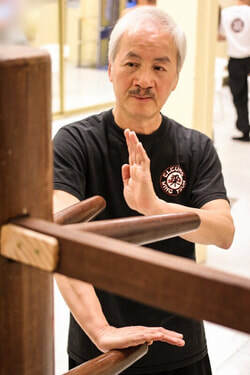 Sifu Elmond Leung studied with Grandmaster Leung Ting until Sifu Elmond's family immigrated to the United States in 1974. Prior to leaving Hong Kong, Sifu Elmond Leung attained the Third Level Technician ranking. In the year of 1980 Sifu Leung started teaching privately a handful of students in his garage. Those who have met Sifu Elmond quickly acknowledge that he has genuine Wing Tsun knowledge and a master’s skill level. In the year of 2002 when he established the San Francisco Chinatown School followed by the Millbrae Wing Tsun School in 2005. 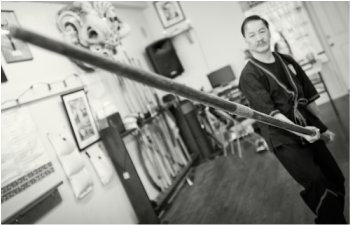 Sifu Leung had been attending and instructing students in his classes five times a week in Millbrae and San Francisco Chinatown schools. ﻿﻿﻿''I can sincerely recommend this school to anyone who is interested in learning Wing Chun"- Michael K.
"This has been the most interesting and enjoyable of my experiences learning martial arts" - Jonathan S.
"You will feel very comfortable in this school and accepted by everyone training there.." - Lester Y.